An advisor to a former TD told then-Taoiseach Enda Kenny "over a pint" that a ministerial appointment would be good for the constituency where his boss was based, a court has heard. 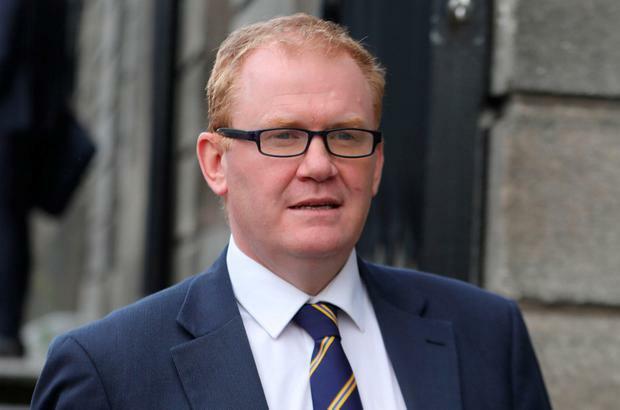 Paul Fox, who was an adviser to Fine Gael Senator Paudie Coffey when he was appointed as a junior minister and TD, was giving evidence in the senator's defamation action against Iconic Newspapers over an article in the 'Kilkenny People' in January 2016. It carried comments from Fine Gael colleague John Paul Phelan TD describing a proposal to bring part of the Kilkenny administrative area in Waterford city as "daylight robbery". Mr Phelan said there was a "bloodthirsty" 18th-century highwayman in Waterford called "Crotty the Robber" and now "Coffey the Robber" was trying to do the same thing. Mr Coffey says that was defamatory and the publisher denies this. Mr Fox agreed with Rossa Fanning SC, for Iconic, Mr Coffey had described in court as "outlandish" the suggestion representations had been made in 2014 to then-Taoiseach Mr Kenny about appointing him a junior minister. Mr Fox agreed with counsel that in light of Fine Gael's poor local election showing that if there was a party minister in Waterford, it would boost both the minister and the constituency. He could not say what "people were advocating to the powers that be" but agreed it would be good for Waterford and Mr Coffey if he was made a minister of State. He said he recalled a conversation with Mr Kenny, post-local elections, in the Ginger Man pub, near Leinster House in Dublin "over a pint". He said he could not exactly recall what was said over four-and-a-half years ago. "I think I would have made the point yes, it was a bad election for Fine Gael in Waterford but I would have conveyed it was something beyond that," he said. "I might have made the point that if the constituency had a voice the constituency would stand to benefit," he added. Mr Fox said he did not think the Taoiseach would have taken to heart what was said to him in terms of a ministerial appointment. "You are underestimating your power," counsel said. Mr Fox said he had not told Mr Coffey about that conversation with Mr Kenny. Earlier Mr Fox told the court the boundary review at the centre of the dispute which led to the 'Kilkenny People' article was an administrative boundary which would affect local elections, but not general elections or county boundaries. He agreed Mr Coffey had been getting negative press coverage elsewhere over his support for the boundary review before the 'Kilkenny People' article.